On 29 April 2014, the new UK Competition and Markets Authority (“CMA”) and the Serious Fraud Office (“SFO”) published a new Memorandum of Understanding (MoU). Building on the previous MoU between the OFT and the SFO, dated October 2003, the new MoU sets out the basis on which both agencies will co-operate to investigate and prosecute criminal cartels in the UK. The new MoU places greater emphasis on the sharing of intelligence and information between the agencies and ensuring that systems are in place to improve lines of communication and co-operation. As with the previous MoU, both agencies retain the ability to prosecute criminal cartels, with the SFO to take the lead in circumstances where the case meets it entry criteria. The MoU places clear obligations on each agency to ensure effective decision-making in respect of leniency and immunity, when such decision may impact on other investigations. Today heralds a new criminal cartel offence in the UK introduced by section 47 of the Enterprise and Regulatory Reform Act 2013 (“ERRA 2013”). The Competition Commission and the OFT are now merged into the Competition and Markets Authority (“CMA”) and the CMA will have primary responsibility for the investigation and prosecution of criminal cartels. It has published a number of guidance documents describing how it will exercise its powers, reiterating publicly that the approach to enforcement does not differ fundamentally from that taken by the OFT. The CMA today released a statement setting out its 5 strategic goals. The main change to the previous offence is that for cartel conduct occurring after 1 April 2014, the prosecution no longer needs to prove dishonesty to secure the criminal conviction of an individual. 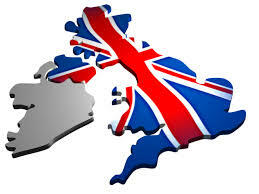 relevant information about the arrangements is published in the London Gazette before they are implemented. The individual took reasonable steps, before making the agreement, to ensure that the nature of the arrangements would be disclosed to professional legal advisers for the purposes of obtaining advice on them before their implementation. The CMA’s Cartel Offence Prosecution Guidance of March 2014 states that the phrase “professional legal advisers” is intended to cover both external and in-house legal advisers who are appropriately qualified. For this defence to succeed, an individual must have made a genuine attempt to obtain legal advice about the arrangement, including making full disclosure of all relevant facts to the professional legal adviser. The UK Government’s position is that the requirement to prove dishonesty in the previous offence prevented more cases being prosecuted. Since the implementation on the criminal cartel offence in June 2003, only two cases have come to court, one resulting in convictions. By contrast, in Ireland, where dishonesty is not required, over the same period, there have been 38 criminal convictions from 6 separate cases. The Competition and Markets Authority (CMA) has published a consultation document setting out its draft Guidance and Rules of Procedure for investigation procedures under the Competition Act 1998 (the Guidance and Rules of Procedure). The document is part of a wider consultation about how the CMA will work in practice and how it will interact with businesses and individuals when it takes over the functions of the OFT on 1 May 2014. A previous blog post discussed the draft prosecution guidance on the criminal cartel offence. Introducing new statutory factors to be taken into account in fixing a penalty. The most controversial of these powers is the new power under section 26A of the Competition Act 1998 to require any individual who has a connection with a business which is a party to an investigation to answer questions on any matter relevant to the investigation. The OFT has said that the new power is designed to make the CMA’s investigations more robust and efficient by enabling it to obtain information orally that it would otherwise either not be able to obtain or only be able to obtain through written requests. However, concerns have been raised that it will be used to carry out ‘fishing expeditions’ for information during investigations and that individuals’ rights may not be adequately protected. The CMA must provide both the person and the undertaking with a formal notice which will ordinarily state the time and place at which the person must be available for questioning. However, the Guidance and Rules of Procedure state that in certain circumstances the CMA may interview an individual using its formal powers immediately after giving the notice. This is likely to be during a dawn raid where the CMA is of the view that a delay in conducting the interview may compromise the investigation. A person being formally questioned may request that a lawyer be present. The CMA will only permit a legal adviser who is also acting for the undertaking under investigation to attend the interview if it is satisfied that this will not risk prejudicing the investigation (for example because it would increase the risk of destruction of evidence or reduce the incentive for individuals being questioned to speak openly and honestly). If this is the case, then the person can request another lawyer and the CMA will delay questioning for a reasonable time to allow a legal adviser to attend. However, the Guidance and Rules of Procedure define “a reasonable time” as such period of time as the officer considers is reasonable in the circumstances. The wide discretion granted to the relevant CMA officer raises the possibility that people may be formally interviewed without a lawyer present or without being fully aware of their rights. The definition of connected individuals is also very wide, covering not only directors and employees, but also consultants, volunteers, contract staff and professional advisers. 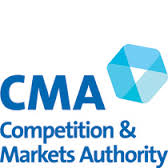 The Competition and Markets Authority (CMA), which will take over the functions of the OFT on 1 April 2014, has launched a consultation about how the CMA will work in practice and how it will interact with businesses and individuals. This includes the publication of draft prosecution guidance on the criminal cartel offence. The guidance sets out some of the considerations that the CMA will take into account when deciding whether to prosecute the cartel offence, in particular in relation to the new exclusions in section 188A and defences in section 188B of the Enterprise Act 2002 (as amended by section 47 of the Enterprise and Regulatory Reform Act 2013). It is worth noting that the CMA takes the view that the term ‘professional legal advisers’ in the legal advice defence in subsection 188B(3) refers to both external and in-house legal advisers. The guidance states that an individual must show that they have made a genuine attempt to seek legal advice about the arrangement, but there is no mention of whether the advice needs to be followed. Whether prosecution is a proportionate response. In parallel, the Department for Business, Innovation and Skills has published draft secondary legislation in relation to the UK’s competition regime. This includes a draft Order for the publishing of relevant information under section 188A of the Enterprise Act 2002. The draft Order specifies that relevant information is published if it is advertised once in any of the London Gazette, the Edinburgh Gazette and the Belfast Gazette. The consultations close on 11 November 2013. Sonya Branch, the OFT’s Executive Director, Enforcement and Mergers (and soon to be Director of Enforcement at the newly formed CMA), has highlighted some of the challenges in bringing successful criminal cartel prosecutions under the Enterprise Act 2002 (the EA), what the organisation is doing to address these and what the outlook is for the CMA when it takes over from the OFT in April 2014. In a speech at the Law Society, she revealed that a major contributing factor to the fact that there have been so few prosecutions of the criminal cartel offence has been the requirement to prove dishonesty. The heart of the problem is in the two-pronged Ghosh test for dishonesty, which requires the OFT not only to show that the conduct was objectively dishonest but also that the defendant subjectively realised that his conduct would be regarded as such. The fact that cartel cases do not usually have clear victims, and that defendants often do not gain personally from the cartel conduct, makes this particularly difficult to prove to a jury. Branch also referred to studies which have shown that up to 40% of the general public do not consider price fixing to be dishonest, meaning that juries may be persuaded by arguments that defendants have acted with well-meaning intentions, such as to preserve jobs. The high uncertainty surrounding convictions has, according to Branch, been a major factor in the OFT’s decision to close several criminal cartel investigations without taking enforcement action. As a result, the OFT has moved towards a more ‘intelligence-led’ approach to cartel detection with the aim of increasing deterrence through better detection rates and delivering criminal cartel investigations and prosecutions more efficiently. This is proving successful – almost half of the new cartel cases opened over the last three years have been intelligence-led rather than coming to the OFT’s attention through leniency applications. On 1 April 2014, the Enterprise and Regulatory Reform Act 2013 will come into force and the CMA will take over the role of investigating and prosecuting criminal cartel conduct from the OFT. At the same time, the requirement of dishonesty will be removed from section 188 EA, a move intended to make the offence easier to prove in court. The CMA will publish prosecutorial guidance on the new offence later this year. 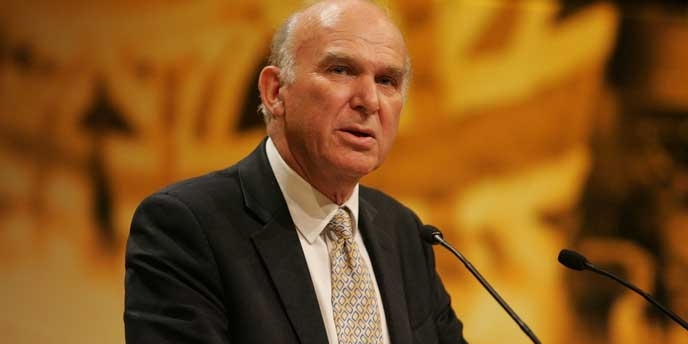 The Government has also allocated extra funding to support the CMA’s cartel enforcement after 2015 and enable it to improve the scale and sophistication of its criminal cartel enforcement activities. It remains to be seen whether these changes will be sufficient to increase the number of criminal cartel prosecutions, of which there have been just two (only one of them successful) since the offence was enacted in 2002. On 8 July 2013, the UK’s Office of Fair Trading (OFT) published its final revised Guide to applications for leniency and no-action in cartel cases. The Guide, which took effect on publication, follows two consultations on the draft revisions, the second of which specifically addressed the issue of waiver of legal privilege in leniency applications (covered in paragraphs 3.15 to 3.23 of the Guide). 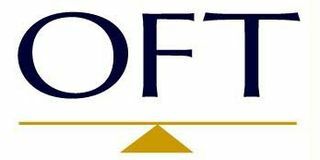 The OFT has announced that it will no longer require leniency applicants in cartel cases to waive legal privilege under any circumstances. The existing policy is that while waivers are not required in civil competition investigations, they may be in certain circumstances in criminal cases. Applicants may still be asked if they are willing to waive legal privilege, but a refusal to do so will not have any adverse consequences for the leniency application. The decision not to insist on waiver of legal privilege has been made primarily due to concerns that any requirement would act as a disincentive to potential leniency applicants. In particular, if applicants feel unable to make full and frank disclosure to their legal advisers then it is difficult for them to obtain proper advice in order to make an informed decision about action to take in relation to any cartel activity, especially given that leniency is not usually confirmed until late in the process. The OFT has also taken into account that many other competition authorities, such as the European Commission and the United States Department of Justice Antitrust Division, do not require waiver as a condition of leniency, and the fact that the Government has confirmed that waiver of legal privilege will not be a condition of the proposed Deferred Prosecution Agreements. While this change has been overwhelmingly welcomed, the introduction of a new independent counsel to which applicants may be required to submit material over which they are claiming privilege for assessment as to whether that claim is justified, is more controversial. Critics have pointed out that the disclosure of materials to the independent counsel could result in a waiver of legal privilege over those documents in some jurisdictions, in particular the US. The OFT did not consider these concerns relevant because they deal with considerations outside of the UK legal framework. It remains to be seen whether companies, especially those with wide-ranging international interests, will consider this risk significant enough to deter them from taking part in the leniency process. There are also concerns that an appeal by a leniency applicant against a decision of the independent counsel that privilege does not apply may adversely affect the OFT’s view as to whether the applicant is complying with its obligation of continuous and complete cooperation under the leniency programme. The OFT has said that this will be dealt with on a case by case basis. Despite these concerns, the decision by the OFT to change its policy and cease to require leniency applicants to waive legal privilege in both civil and criminal proceedings is a significant step forward, and demonstrates the results that robust responses to official consultations can achieve. The OFT has also published two new Quick Guides to cartels and leniency, one for businesses and one for individuals.